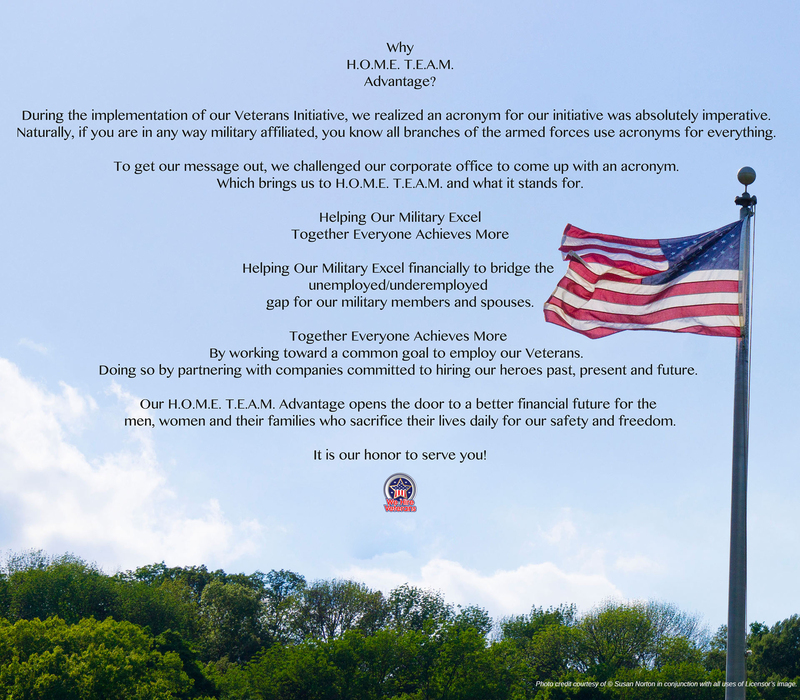 United Software Group is working with the Veterans Administration to help bridge the gap of unemployed/underemployed Veterans and their spouses in Central Ohio and across the nation. Whether our Soldiers are transitioning from military to civilian life, active in the Guard, Reserves or have already completed their tour of duty, we are committed to help get our military men and women into gainful employment. With this commitment comes dedication and responsibility. There is an immense deficiency in IT position availability for our military men and women among many other areas of employment. USG finds this difficult to understand as the military gives the best, most current advanced training not only in technology, but in every aspect of the community. So naturally, we feel it is our duty to give back to the men and women who selflessly protect our country for our freedom. Doing so by teaming up with companies such as yours to commit and work with us toward a common goal. We would like to speak with you regarding this incredible opportunity for your company to hire the best of the best. Please contact us through the link below or call 614-886-9408 ask for me Susan Norton. Ability to learn new skills and concepts. While in the military, Service Members undergo rigorous training programs to become experts in a wide-range of skills and concepts that can easily be transferred to a civilian work environment. The skills Service Members have learned and applied in real-world situations in the military make them ideal candidates to enhance your organization's productivity. Flexibility to work strongly in teams or work independently. Military training teaches Service Members to work as a team by instilling a sense of a responsibility to one's colleagues. In addition, the size and scope of military operations necessitates that Service Members understand how groups of all sizes relate to each other and support the overarching objective. While military duties stress teamwork and group productivity, they also build individuals who are able to perform independently at a very high level. Hands on experience with technology and globalization. Today's military uses the cutting-edge technology to maintain our dominance over the enemy in the battlefield. From communications technology to the security of computer networks and hardware, Service Members must stay aware of emerging technologies in the public and private sector. Triumph over adversity. In addition to dealing positively with the typical issues of personal maturity, Service Members have frequently triumphed over great adversity. Service Members have proven their mettle in mission critical situations demanding endurance, stamina and flexibility. In the case of wounded warriors, they have overcome disabilities and/or acquired injuries (including invisible injuries) through strength, determination and personal conviction.